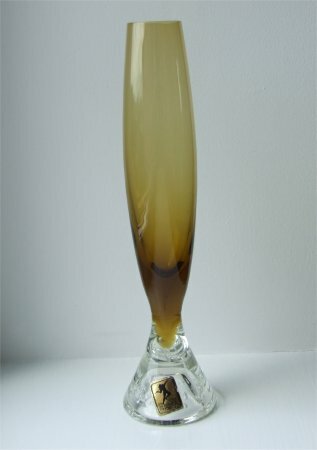 This vase is approximately 198mm (7 & 3/4") tall. The base is conical in shape and hollow. The bubbles are randomly spaced with a mixture of small round and larger elongated shapes, (see pictures below.) The stem is amber in colour and has a bulbous shape, and is approximately 25mm (1") across the top. The paper label is oblong, a metalic gold with a black border and silhouette of a person throwing a javelin? 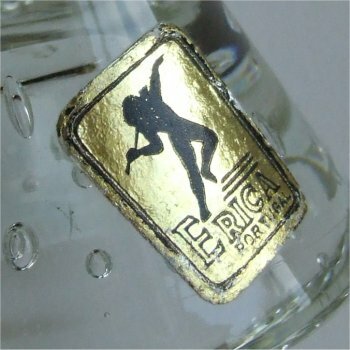 and states "ERICA PORTUGAL" This vase was found in Australia, Erica was an Australian importer of glass and ceramics from various countries. 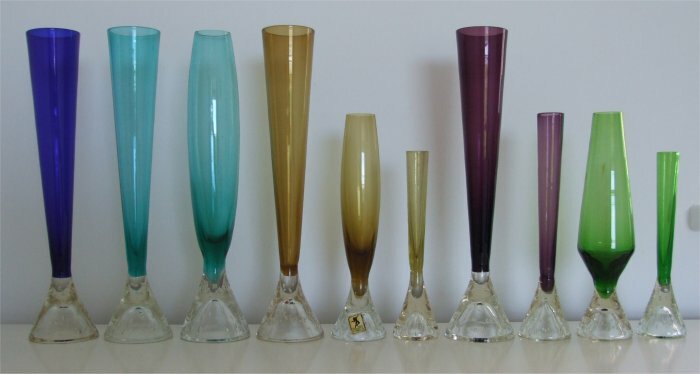 Below are similar vases without any labels which have identical bases. 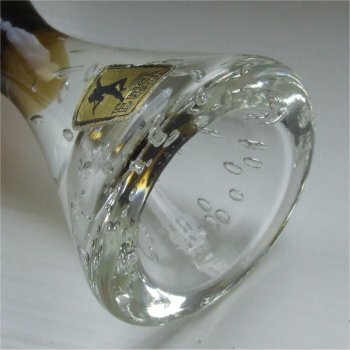 I have also seen a brandy style glass and a comport with the same base. I suspect that they were all made in Portugal.